What glaze recipe do you use? 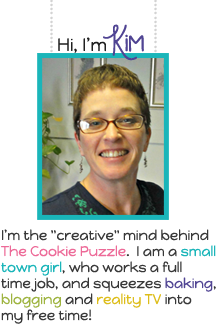 You can find my icing recipe under the FAQ section in the menu bar at the top of the page...or you can email me at thecookiepuzzle@gmail.com, and I will be happy to share it with you. They are fab! 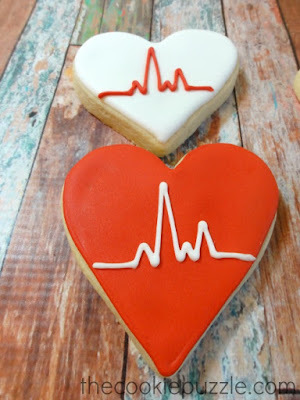 I love these decorated cookies, one day I will have a go but until then I just look and lovely photos like these! Your cookies are always amazing. I love the doctor's shirt! Thanks for linking up to Marvelous Monday Link Party. Love it! I think even I could handle making these and I was born without the cake/cookie decorating gene. Kim - These are adorable! 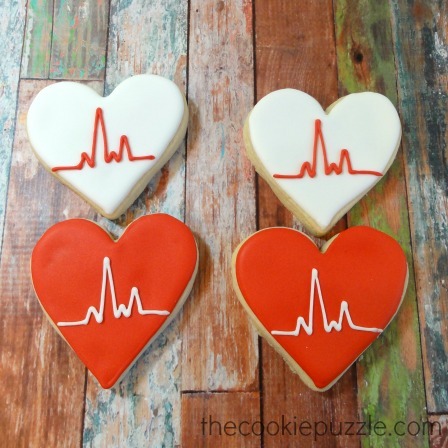 I love the hearts with the ekg heartbeat! 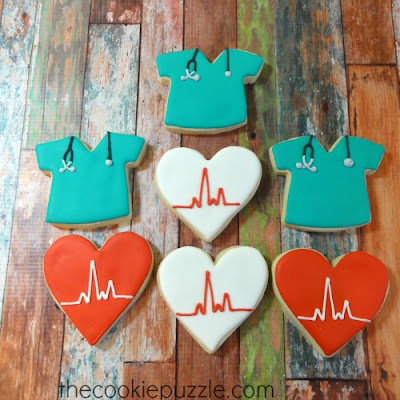 This medical students cookies is very interesting. You talk a loyal customer who send you a message for cookies. Thanks for discuss this. I need helpful link about medicine personal statement. I hope you help me. 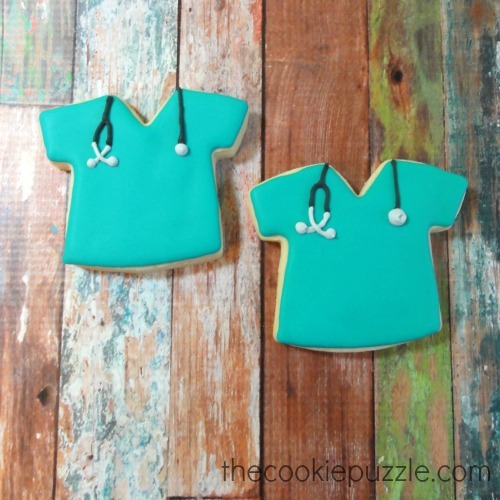 That professional medical learners cupcakes can be quite useful. People communicate some sort of dependable purchaser exactly who post that you meaning intended for cupcakes. Appreciate it intended for examine that. I needed read here in relation to drugs particular record. Lets hope people guide everyone. There are the cookies of the medical college school in this area. I love the pictures in this forum with the better result. The college admission resume for the school and colleges is the main thing that can get you to the high place in your future. It is time to require useful measures for the health care of individuals. 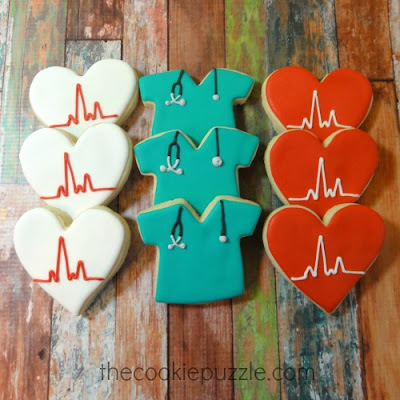 Now's here to produce you good for writing your medical school cookies. Visit this helpful link and get more useful info which is very important to the medical students. I appreciate your efforts.I liked all details but i would like to recommend you the homepage of http://www.essaydocreview.com/ and you will see its really informative and so beneficial. Art is not essey to done its need really hard work to done. sop accounting is one of the great idea in art. your post gives us many information about sop accounting and art https://residencypersonalstatements.net/writing-a-noteworthy-letter-of-intent-for-a-medical-residency/ makes me happy with the qulity of service. That is so nice of him that he sent you cookies and the ideas here are quite unique to celebrate and wishing someone who has got what he really deserves. Cookies of the medical term have been occupied for the individuals. The theme and helpful link is ensured for the approval of the documents for the candidates. Since observed, to be able to click here with a health care provider on the cell phone, and have got your prescribed loaded simply by a great World wide web pharmacy will be hassle-free for many individuals. Waow! It looked so cute. These cookies are gaining attention of the students. These types of creativity will enhance the interest in students to learn about medicals. Here is the link http://www.residencylor.com/how-to-get-a-great-pathology-letter-of-recommendation/ I was looking for.